Welcome to the Illahee Inn located in Glide, Oregon....home of the Colliding Rivers and gateway to the Cascades! We are conveniently located just off of Highway 138 in Glide, Oregon. Just 15 miles east of Interstate 5 and Roseburg and less than half a mile from the North Umpqua River on Highway 138. The Inn has new owners, a couple who are always on hand to serve you. There is no longer a restaurant attached to the Inn, but several are available in the vicinity. Any special dietary needs can be met using the in-room refrigerator and microwave. Our small, quiet inn provides comfortable lodging with plenty of parking. Each of our six oversized rooms has its own unique décor and appeal. All rooms are non-smoking and have two queen size beds, microwave oven, small refrigerator, flat screen TV’s with DVD players and much more. One room is designated handicapped accessible, and we are pet friendly. Enjoy sitting on the front porch outside your sliding glass door and watch the world go by…….or perhaps you would like to relax in our memorial garden with its beautiful landscaping. The North Umpqua River is just a short drive or comfortable walk from our location, and Crater Lake is less than two hours away. We're a pleasant driving distance from the many Oregon wineries located in the Umpqua, Rogue and Applegate valleys and less than two hours from the beautiful Oregon coast! Please visit our links for information on things to see and do in our area, the Umpqua Valley, Cascades and Coastal Oregon, specifically, Bandon, Coos Bay, Reedsport and Florence. So whether you wish to go on a scenic drive, visit one of our 24 waterfalls, see a covered bridge, fish in the Umpqua River renowned for its world-class steelhead, Chinook Salmon, small-mouth bass or trout, take a hike along the North Umpqua Trails system, go white-water rafting, enjoy disc golf, or just sit back and relax, we invite you to spend some time with our "family" at the inn. "Illahee" is a word from the Native American (Chinook) language and is used throughout the Pacific Northwest at many locations. Illahee is pronounced "ill-a-hee" and has been translated to mean "earth, land, or water". It's commonly used in conjunction with locations near to or on the water. Please call 541-580-2344 for rates and availability. Our location is ideal, since within less than two hours you can be at Diamond Lake, Crater Lake or Highway 101 and the Oregon Coast. Just a few minutes away are two boat ramps for the North Umpqua River where you can enjoy fishing, rafting, and kayaks. 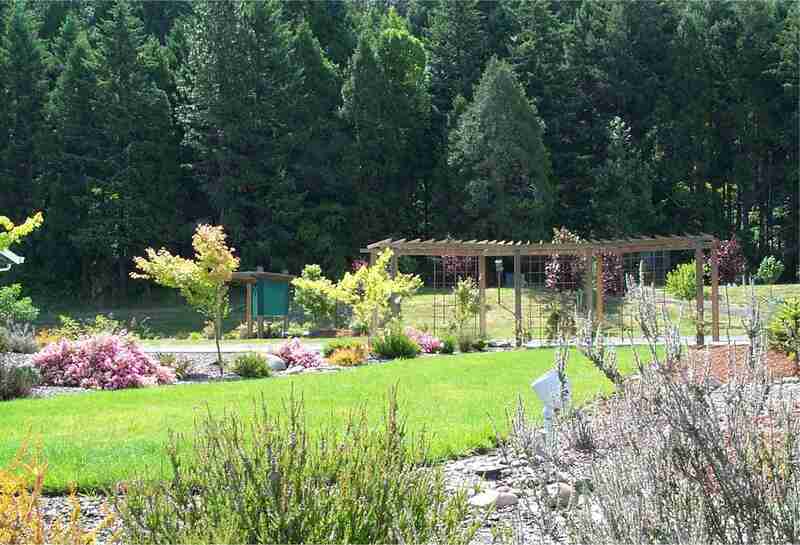 Within minutes you can be at a pristine trailhead to enjoy a hike or view one of the 16 waterfalls found between the Illahee Inn and Crater Lake, or perhaps you would like to take a wine tasting tour through the Umpqua Valley wineries. Copyright 2007-2017 © Illahee Inn. All rights reserved.